In a move taken from the Justice League in the ‘80s, Sony has apparently dubbed its Men In Black reboot Men In Black International—at least according to some promotional materials spotted by Collider at Brazil Comic-Con. The original Men In Black movies were more or less relegated to Manhattan and the surrounding areas, but this title indicates that the movie will be hitting some new locations beyond the newsstand with the talking dog and the old MIB office. Also, since one of the new stars is Chris Hemsworth, the International part of the name will mean he can probably just play an Australian and use his normal accent instead of having to be some kind of space god like he usually is in movies. 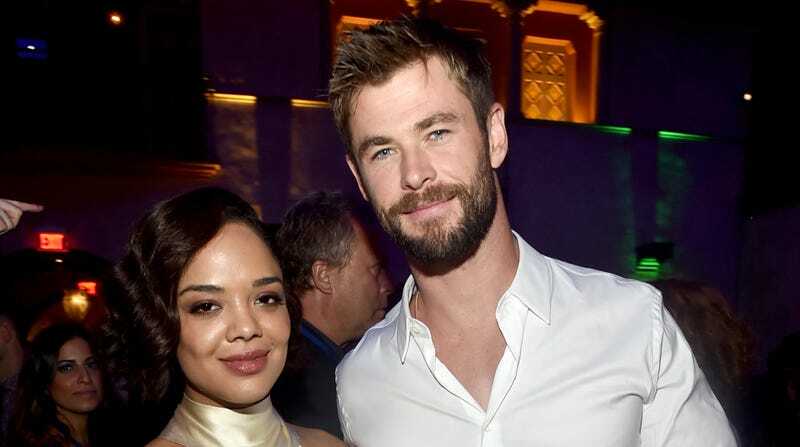 The other new star along with Hemsworth will be his Thor: Ragnarok co-star Tessa Thompson, with Fate Of The Furious and Straight Outta Compton director F. Gary Gray directing Men In Black International.